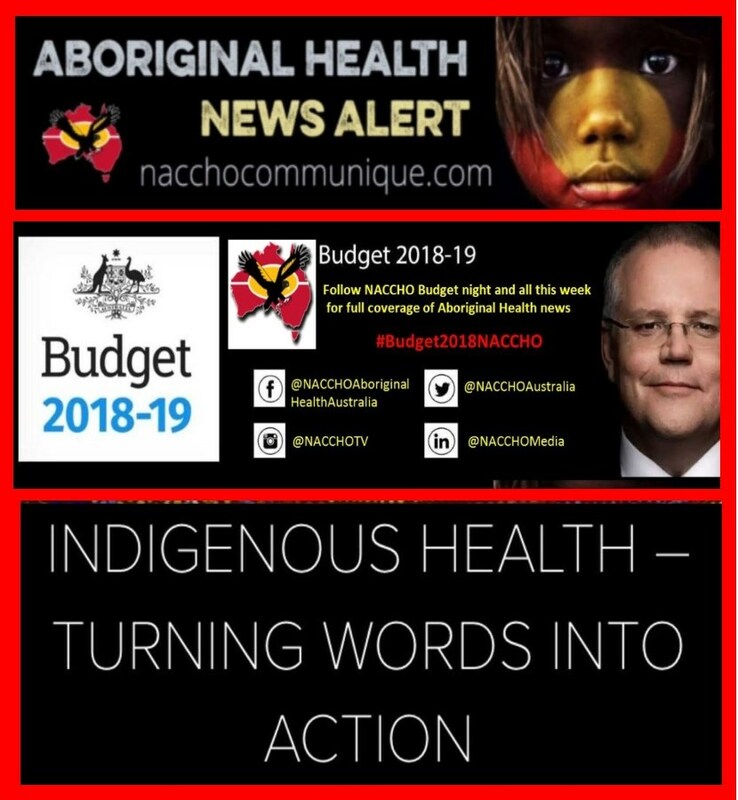 NACCHO Guide to Aboriginal Health and the #Budget2018NACCHO : What @NACCHOAustralia @AMAPresident @RACP @CroakeyNews and 21 peak health groups would like to see in tonight’s #Healthbudget18 ? AMA President, Dr Michael Gannon, said that the culmination of key reviews, under the guidance of Health Minister Greg Hunt, provides the Government with a rare opportunity to embark on a new era of ‘big picture’ health reform – but it will need significant long-term investment. “I’ve been working in the field of Indigenous health for 20 years now. The major changes, trends that I’ve seen over the years, has been improvements in infant mortality. But the one that contrasts that is the worsening mortality in middle age—we see high rates of mortality in Aboriginal people in their 40s and 50s. And this is due to chronic disease, particularly diabetes, ischaemic heart disease and chronic kidney disease. Associate Professor Noel Hayman, Clinical Director of the Inala Indigenous Health Service in Brisbane. He was the first Aboriginal GP in Queensland, and the first Aboriginal and Torres Strait Islander person to become a Fellow of the Australasian Faculty of Public Health Medicine at the RACP. Doctors are calling for the Federal Government to provide long-term funding to programs that prevent, detect and manage chronic disease for Aboriginal and Torres Strait Islander people. As detailed in the Royal Australasian College of Physicians’ pre-budget submission, these programs could help ensure better health outcomes and close the gap between Aboriginal and Torres Strait Islander health outcomes and those of the non-Indigenous community. • Allocate secure long-term funding to progress the strategies and actions identified in the National Aboriginal and Torres Strait Islander Health Plan (NATSIHP) Implementation Plan. • Provide secure, long-term funding for the Rural Health Outreach Fund (RHOF) and Medical Outreach Indigenous Chronic Disease Program (MOICDP). 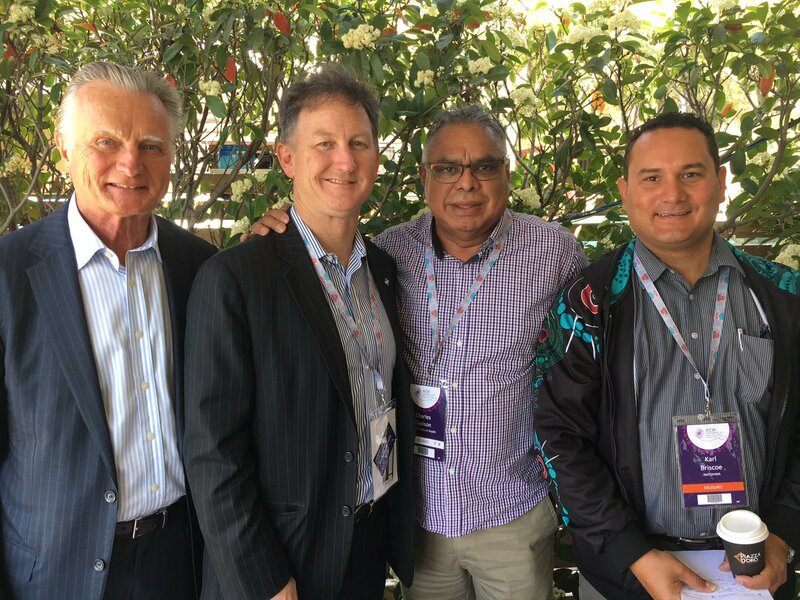 • Build and support the capacity of Aboriginal and Torres Strait Islander health leaders by committing secure long-term funding to the Indigenous National Health Leadership Forum. • Reinstate funding for a clearinghouse modelled on the previous Closing the Gap clearinghouse, in line with the recommendations of the Fifth National Mental Health and Suicide Prevention Plan. Allocate sufficient funding for the implementation of the Fifth National Aboriginal and Torres Strait Islander Blood-Borne Viruses (BBV) and Sexually Transmissible Infections (STI) Strategy. • Fund the syphilis outbreak short-term action plan and coordinate this response with long term strategies. • Allocate long-term funding for primary health care and community- led sexual health programs to embed STI/BBV services as core primary health care (PHC) activity, and to ensure timely and culturally supported access to specialist care when needed, to achieve low rates of STIs and good sexual health care for all Australians. • Invest in and support a long-term multi-disciplinary sexual health workforce and integrate with PHC to build longstanding trust with communities. • Allocate funding for STI and HIV point of care testing (POCT) devices, the development of guidelines for POCT devices and Medicare funding for the use of POCT devices. Aboriginal and Torres Strait Islander people continue to experience poorer health outcomes than non-Indigenous Australians. The latest ‘Closing the Gap’ report found that Australia is not on track to close the life expectancy gap by 2031 – with the gap remaining close to ten years for both men and women. The gap for deaths from cancer between Aboriginal and Torres Strait Islander and non-Indigenous Australians has in fact widened in recent years, with Aboriginal and Torres Strait Islander cancer death rates increasing by 21 percent between 1998 and 2015, while there was a 13 per cent decline for non-Indigenous Australians in the same period8. To address these inequities and improve access to care, continuing and strengthened focus and appropriate long-term funding is required. It is imperative that there is secure funding for the National Aboriginal and Torres Strait Islander Health Plan 2013-2023 (NATSIHP) Implementation Plan. Funding uncertainty and frequent changes create significant issues that impact the continuity of services to patients and organisations in their ability to retain and build their capacity. ” A December 2017 report from the Australian Institute of Health and Welfare (AIHW) shows that the mortality gaps between Indigenous and non-Indigenous Australians are widening, not narrowing. Urgent action is needed to reverse these trends to have any prospect of meeting the Council of Australian Governments’ goal to Close the Gap in life expectancy within a generation (by 2031). 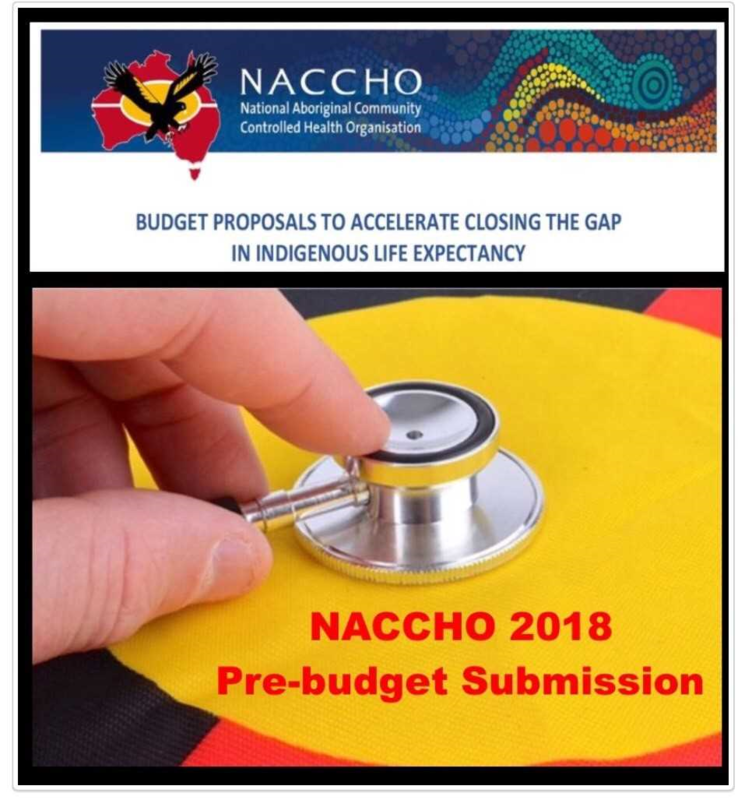 The following submission by the National Aboriginal Community Controlled Health Organisation (NACCHO) in relation to the Commonwealth Budget 2018 aims to reverse the widening mortality gaps. Proposals that build in an Indigenous position into policy considerations that impact on health. What will the 2018 Federal Budget mean for the health sector and consumers? Consumers Health Forum of Australia Policy Team will be holding a free public webinar next Wednesday 16 May, 12:30pm AEST, to discuss the key health measures in the budget from a consumer perspective. They will share our position on them, and take participants’ feedback and questions. What is the number one health issue that the Government should address in tonight’s Federal Budget? Jennifer Doggett from Croakey analyses the pre-Budget Submissions from 21 health groups and finds surprising agreement among them on the urgent need for action in one key area. Read on to find out what this issue is and the six key measures the Government should announce on Tuesday night if it wants to keep the health sector onside. Check back on Wednesday to see how closely the Federal Government has followed the proposals from health and medical groups in this (possibly) pre-election Budget. Bookmark this link for our coverage of the Federal Budget, and please use the hashtag #HealthBudget18 to share health-related budget news. So what do this year’s crop of Pre-Budget submissions tell us about the current priorities of the health sector? After reviewing a slew of health-related pre-Budget submissions it is clear that there is one stand-out issue that has the overwhelming support of the health sector, with virtually every submission supporting action on this issue in some form or other. That issue is prevention. The clear message emerging from the submissions was that preventive health is the glaring gap in health policies at the federal level and the most pressing issue that needs to be addressed to improve the health of our community. Almost every health-related pre-Budget submission included a strong focus on prevention, in particular those from the Public Health Association of Australia (PHAA), the Consumers Health Forum (CHF), the Australian Healthcare and Hospitals Association (AHHA), the Australian Medical Association (AMA), the Complementary Medicines Association (CMA), the Victorian Healthcare Association (VHA) and the Royal Australian College of Physicians (RACP). The most strongly supported proposal overall was for the establishment of a national preventive health body to oversee and coordinate preventive health policies across all sectors and level of government. The AMA’s submission reflected the reasons expressed in many submissions for such a national body: Obesity, nutrition, alcohol, tobacco and physical activity are health policy areas desperately in need of funded national strategies and measurable targets. These are best delivered through an independent, dedicated organisation. Obesity was the most commonly mentioned health issue with a number of groups supporting a sugar tax, junk food advertising restrictions and physical activity programs. There was broad agreement across the submissions that we need to do more to close the health and life expectancy gap between Indigenous and non-Indigenous Australians and that supporting Indigenous community-controlled initiatives and services are the best way to achieve this. Supporting and growing the Indigenous health workforce was a key feature of NACHHO’s submission, along with establishing an Aboriginal and Torres Strait Islander Commonwealth Advisory Group to support consideration, implementation and monitoring of an Indigenous position in efforts to Close the Gap and on jurisdictional agreements that have high impact on Indigenous peoples. 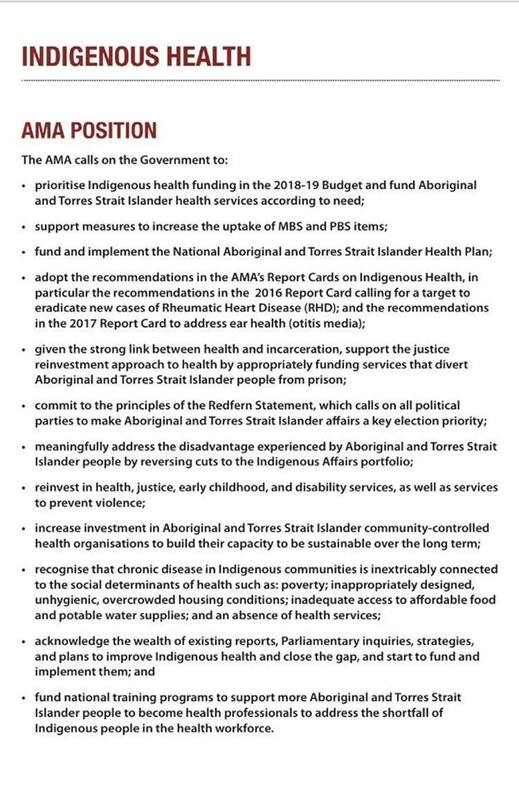 The AHHA and the AMA called for funding to implement the National Aboriginal and Torres Strait Islander Health Plan and the AMA also called for the Government to support the Redfern Statement. The life expectancy gap means that Indigenous Australians are not only dying younger than non-Indigenous Australians but also carry a higher burden of disease across their life span, impacting on education and employment opportunities as well as their social and emotional wellbeing. Preventable admissions and deaths are three times as high in Indigenous people yet use of the main Commonwealth schemes, Medicare Benefits Scheme (MBS) and Pharmaceutical Benefits Scheme (PBS) are at best half the needs based requirements. It is simply impossible to close the mortality gaps under these conditions. No government can have a goal to close life expectancy and child mortality gaps and yet concurrently preside over widening mortality gaps. Going forward, a radical departure is needed from a business as usual approach. The recent Productivity Commission Report found that per capita government spending on Indigenous services was twice as high as for the rest of the population. The view that enormous amounts of money have been spent on Indigenous Affairs has led many to conclude a different focus is required and that money is not the answer. Yet, the key question in understanding the relativities of expenditure on Indigenous is equity of total expenditure, both public and private and in relation to need. In terms of health expenditure, the Commonwealth spends $1.4 for every $1 spent on the rest of the population, notwithstanding that, on the most conservative assumptions, Indigenous people have at least twice the per capita need of the rest of the population because of much higher levels of illness and burden of disease. This represents a significant market failure. The health system serves the needs of the bulk of the population very well but the health system has failed to meet the needs of the Indigenous population. A pressing need is to address the shortfall in spending for out of hospital services, for which the Commonwealth is mainly responsible, and which is directly and indirectly responsible for excessive preventable admissions funded by the jurisdictions – and avoidable deaths. The fiscal imbalance whereby underspending by the Commonwealth leads to large increases in preventable admissions (and deaths) borne by the jurisdictions needs to be rectified. 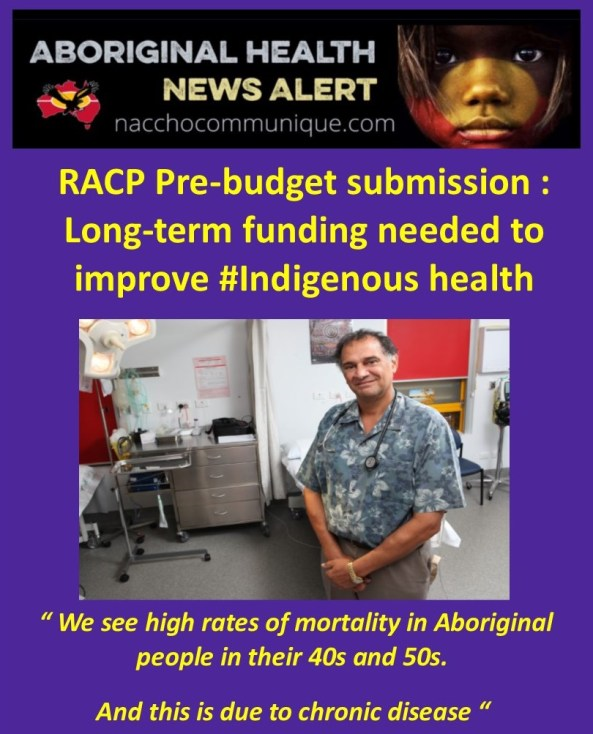 Ultimately, NACCHO seeks an evidenced based, incremental plan to address gaps, and increased resources and effort to address the Indigenous burden of disease and life expectancy. The following list of budget proposals reflect the burden of disease, the underfunding throughout the system and the comprehensive effort needed to close the gap and ideally would be considered as a total package. 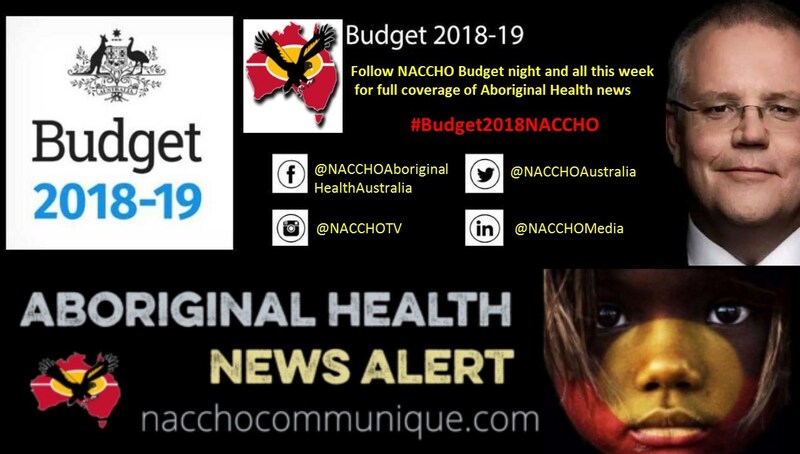 NACCHO recommends initiatives that impact on the greatest number of Indigenous people and burden of preventable disease and support the sustainability of the Aboriginal Community Controlled Health Organisation (ACCHO) sector – see proposals 1. a) to e) and 3. a) and b) as a priority. NACCHO is committed to working with the Australian Government on the below proposals and other collaborative initiatives that will help Close the Gap. In 1997, the Federal Government funded NACCHO to establish a Secretariat in Canberra, greatly increasing the capacity of Aboriginal peoples involved in ACCHOs to participate in national health policy development. Our members provide about three million episodes of care per year for about 350,000 people. In very remote areas, our services provided about one million episodes of care in a twelve-month period. Collectively, we employ about 6,000 staff (most of whom are Indigenous), which makes us the single largest employer of Indigenous people in the country. 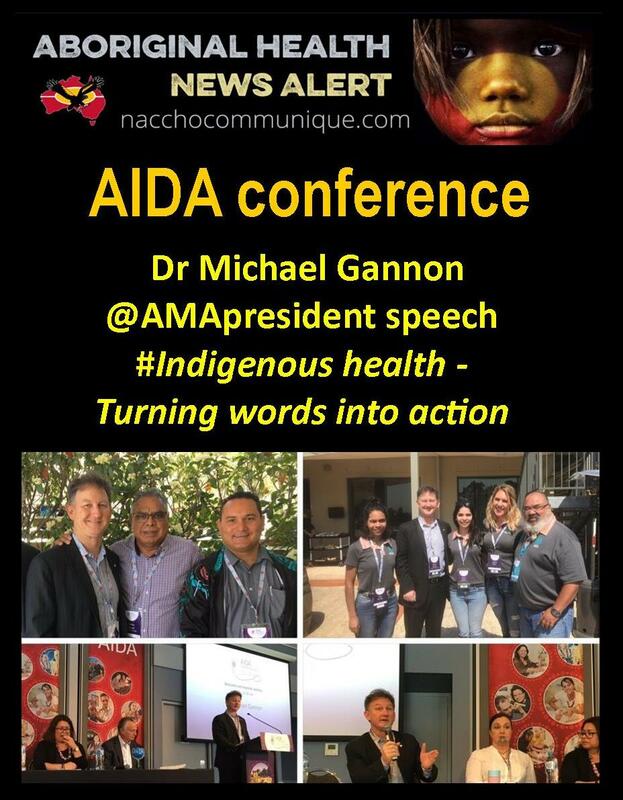 The following proposals are informed by NACCHO’s work with Aboriginal health services, its members, the views of Indigenous leaders expressed through the Redfern Statement and the Close the Gap campaign and its engagement and relationship with other peak health organisations, like the Australian Medical Association (AMA). Specialised health services for Indigenous people are essential to closing the gap as it is impossible to apply the same approach that is used in health services for non-Indigenous patients. Many Indigenous people are uncomfortable seeking medical help at hospitals or general practices and therefore are reluctant to obtain essential care. Access to healthcare is often extremely difficult due to either geographical isolation or lack of transportation. Many Indigenous people live below the poverty line so that services provided by practices that do not bulk bill are unattainable. Mainstream services struggle to provide appropriate healthcare to Indigenous patients due to significant cultural, geographical and language disparities: ACCHOs attempt to overcome such challenges. An ACCHO is a primary health care service initiated and operated by the local Aboriginal community to deliver holistic, comprehensive, and culturally appropriate health care to the community which controls it, through a locally elected Board of Management. They form a critical part of the Indigenous health infrastructure, providing culturally safe care with an emphasis on the importance of a family, community, culture and long-term relationships. Studies have shown that ACCHOs are 23% better at attracting and retaining Indigenous clients than mainstream providers and at identifying and managing risk of chronic disease. Indigenous people are more likely to access care if it is through an ACCHO and patients are more likely to follow chronic disease plans, return for follow up appointments and share information about their health and the health of their family. ACCHOs provide care in context, understanding the environment in which many Indigenous people live and offering true primary health care. More people are also using ACCHOs. In the 24 months to June 2015, our services increased their primary health care services, with the total number of clients rising by 8%. ACCHOs are also more cost-effective providing greater health benefits per dollar spent; measured at a value of $1.19:$1. The lifetime health impact of interventions delivered our services is 50% greater than if these same interventions were delivered by mainstream health services, primarily due to improved Indigenous access. If the gap is to close, the growth and development of ACCHOs across Australia is critical and should be a central component to policy considerations. Mainstream health services also have a significant role in closing the gap in Indigenous health, providing tertiary care, specialist services and primary care where ACCHOs do not exist. The Indigenous Australians’ Health Programme accounts for about 13% of government expenditure on Indigenous health. Given that other programs are responsible for 87% of expenditure on Indigenous health, it reasonable to expect that mainstream services should be held more accountable in closing the gap than they currently are. Greater effort is required by the mainstream health sector to improve its accessibility and responsiveness to Indigenous people and their health needs, reduce the burden of disease and to better support ACCHOs with medical and technical expertise. 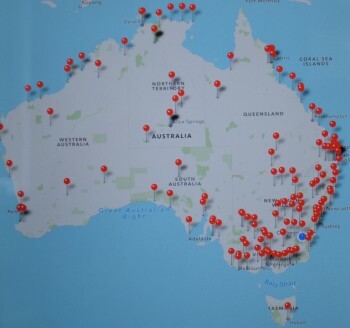 The health system’s response to closing the gap in life expectancy involves a combination of mainstream and Indigenous-specific primary care providers (delivered primarily through ACCHOs) and where both are operating at the highest level to optimise their engagement and involvement with Indigenous people to improve health outcomes. ACCHO’s provide a benchmark for Indigenous health care practice to the mainstream services, and through NACCHO can provide valuable good practice learnings to drive improved practices. NACCHO also acknowledges the social determinants of health, including housing, family support, community safety, access to good nutrition, and the key role they play in influencing the life and health outcomes of Indigenous Australians. Elsewhere NACCHO has and will continue to call on the Australian and state and territory governments to do more in these areas as they are foundational to closing the gap in life expectancy. Addressing the social determinants of health is also critical to reducing the number of Indigenous incarceration. Comprehensively responding to the Royal Commission into the Protection and Detention of Children in the Northern Territory must be a non-negotiable priority. “Almost one in three (30 per cent) of Indigenous adults suffered high or very high levels of psychological distress in 2012-13. Indigenous adults are 2.7 times as likely as non-Indigenous adults to suffer these levels of distress. 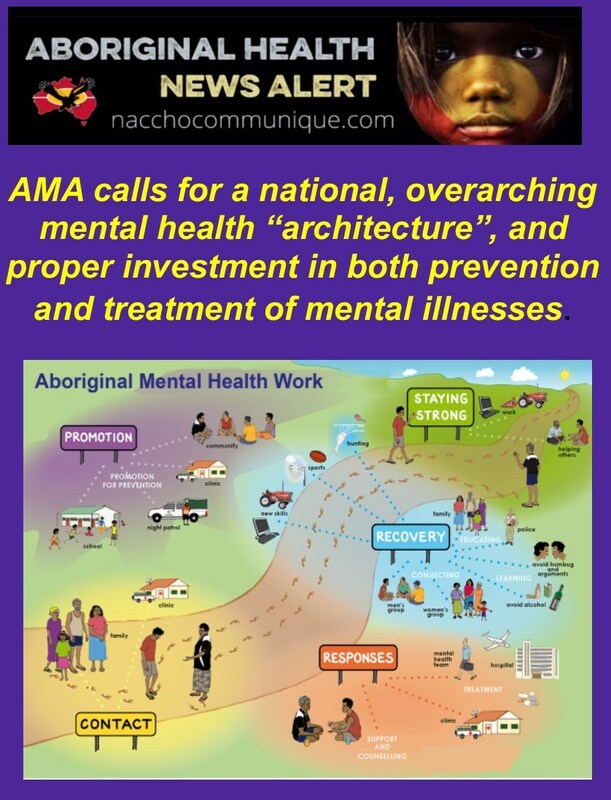 The AMA is calling for a national, overarching mental health “architecture”, and proper investment in both prevention and treatment of mental illnesses. Almost one in two Australian adults will experience a mental health condition in their lifetime, yet mental health and psychiatric care are grossly underfunded when compared to physical health, AMA President, Dr Michael Gannon, said today. Releasing the AMA Position Statement on Mental Health 2018, Dr Gannon said that strategic leadership is needed to integrate all components of mental health prevention and care. “Many Australians will experience a mental illness at some time in their lives, and almost every Australian will experience the effects of mental illness in a family member, friend, or work colleague,” Dr Gannon said. “For mental health consumers and their families, navigating the system and finding the right care at the right time can be difficult and frustrating. “Australia lacks an overarching mental health ‘architecture’. There is no vision of what the mental health system will look like in the future, nor is there any agreed national design or structure that will facilitate prevention and proper care for people with mental illness. “The AMA is calling for the balance between funding acute care in public hospitals, primary care, and community-managed mental health to be correctly weighted. “Funding should be on the basis of need, demand, and disease burden – not a competition between sectors and specific conditions. Policies that try to strip resources from one area of mental health to pay for another are disastrous. “Poor access to acute beds for major illness leads to extended delays in emergency departments, poor access to community care leads to delayed or failed discharges from hospitals, and poor funding of community services makes it harder to access and coordinate prevention, support services, and early intervention. “Significant investment is urgently needed to reduce the deficits in care, fragmentation, poor coordination, and access to effective care. “As with physical health, prevention is just as important in mental health, and evidence-based prevention can be socially and economically superior to treatment. “Community-managed mental health services have not been appropriately structured or funded since the movement towards deinstitutionalisation in the 1970s and 1980s, which shifted much of the care and treatment of people with a mental illness out of institutions and into the community. The Position Statement calls for Governments to address underfunding in mental health services and programs for adolescents, refugees and migrants, Aboriginal and Torres Strait Islander people, and people in regional and remote areas. It also calls for Government recognition and support for carers of people with mental illness. “Caring for people with a mental illness is often the result of necessity, not choice, and can involve very intense demands on carers,” Dr Gannon said. 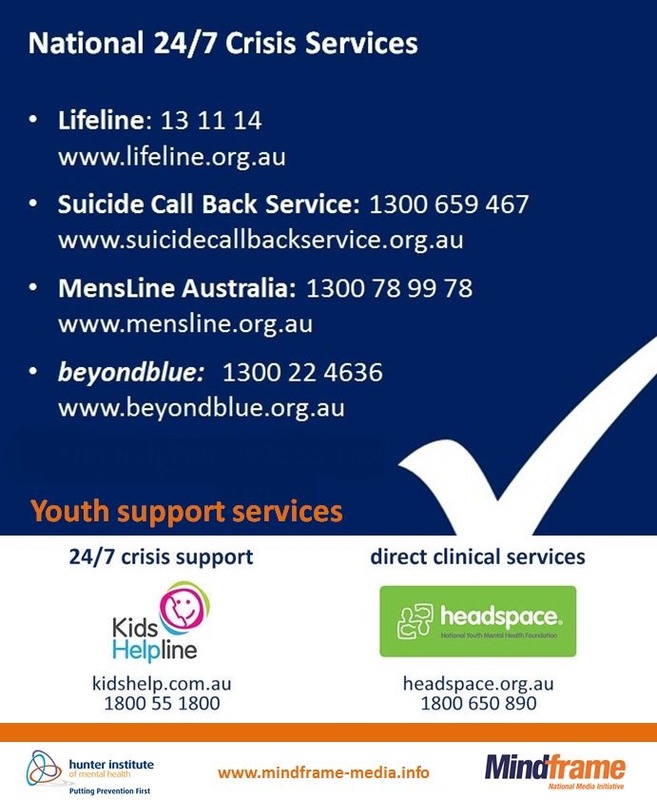 7.3 million Australians (45 per cent) aged 16 to 85 will experience a common mental health disorder, such as depression, anxiety, or substance use disorder, in their lifetime. Almost 64,000 people have a psychotic illness and are in contact with public specialised mental health services each year. 560,000 children and adolescents aged four to 17 (about 14 per cent) experienced mental health disorders in 2012-13. Australians living with schizophrenia die 25 years earlier than the general population, mainly due to poor heart health. Almost one in three (30 per cent) of Indigenous adults suffered high or very high levels of psychological distress in 2012-13. Indigenous adults are 2.7 times as likely as non-Indigenous adults to suffer these levels of distress. General practitioners manage mental health problems for Indigenous Australians at 1.3 times the rate for other Australians, and mental health-related conditions accounted for 4.4 per cent of hospitalisations of Indigenous people in 2012-13. About $8.5 billion is spent every year on mental health-related services in Australia, including residential and community services, hospital-based services (both inpatient and outpatient), and consultations with GPs and other specialists. 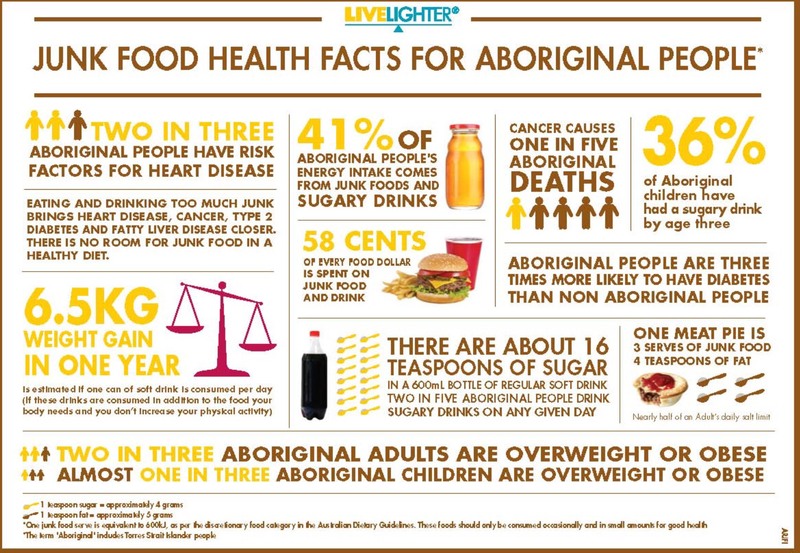 ” Poor nutrition has been linked to the reduced health outcomes experienced by Aboriginal and Torres Strait Islander people, contributing to conditions known to disproportionately affect this population, including type 2 diabetes, kidney disease and some cancers. Twenty two per cent of Aboriginal and Torres Strait Islander people live in a household that has, in the past 12 months, run out of food and not been able to purchase more. Food insecurity increases for Aboriginal and Torres Strait Islander people who live in remote areas. “Children are easily influenced, and this marketing – which takes place across all media platforms, from radio and television to online, social media, and apps – undermines healthy food education and makes eating junk food seem normal. 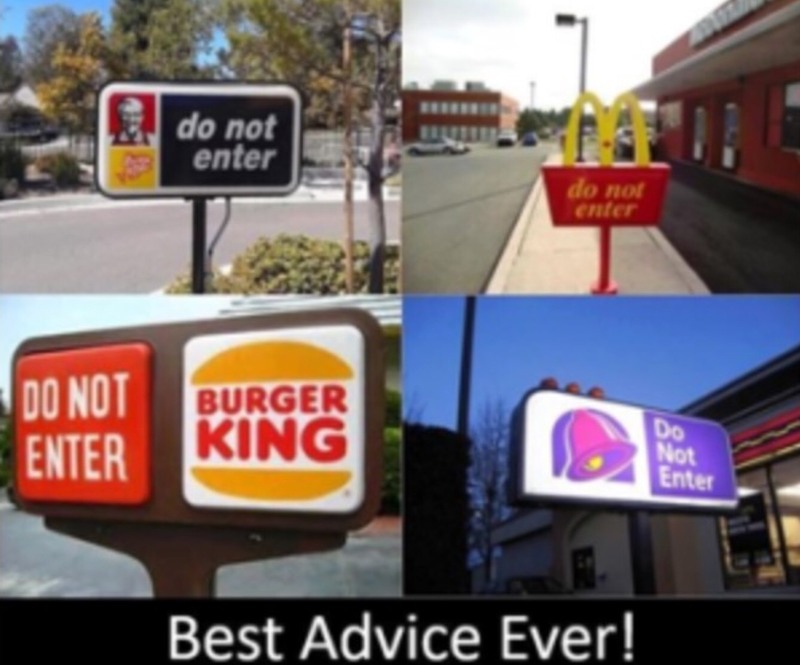 NACCHO Campaign 2013 : We should health advice from the fast food industry ! 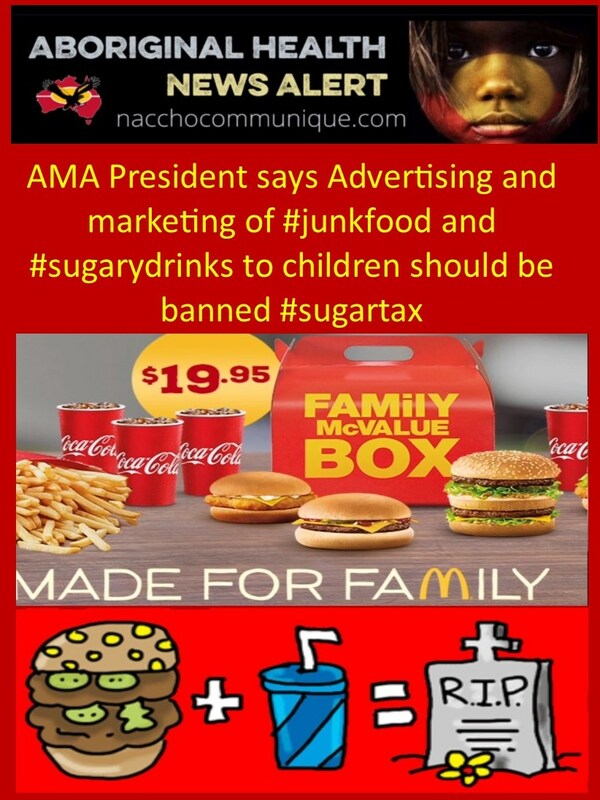 · Advertising and marketing of unhealthy food and beverages to children to be prohibited. · Water to be provided as the default beverage option, and a tax on sugar-sweetened beverages to be introduced. · Healthy foods to be provided in all health care settings, and vending machines containing unhealthy food and drinks to be removed. · Better food labelling to improve consumers’ ability to distinguish between naturally occurring and added sugars. · Regular review and updating of national dietary guidelines and associated clinical guidelines to reflect new and emerging evidence. · Continued uptake of the Health Star Rating system, as well as refinement to ensure it provides shoppers with the most pertinent information. It has been estimated that four per cent of Australians experience food insecurity,14 though it is likely the extent of the problem is much higher. Food insecurity is associated with a range of factors, including unstable living situations, geographic isolation and poor health. It is more prevalent in already disadvantaged communities. In households with limited incomes, food budgets can be seen as discretionary and less of a priority. This can result in disrupted eating habits and an over-reliance on less nutritious foods. Food insecurity can have significant health implications, such as increased hospitalisation and iron deficiency anemia (in children) and increased kidney disease, type 2 diabetes and mental health issues (among adolescents and adults). Efforts to Close the Gap must recognise the potential impacts of improved nutrition on health outcomes, as well as the implications of food insecurity. The development and implementation of potential solutions must be led by Aboriginal and Torres Strait Islander people. The nutrition of Aboriginal and Torres Strait Islander people living in remote communities may be heavily dependent on Outback Stores. The 2009 Parliamentary Inquiry ‘Everybody’s Business: Remote Aboriginal and Torres Strait Community Stores’ resulted in a number of practical recommendations to increase the availability and affordability of healthy foods in Outback Stores, many of which have not been implemented. These Stores, in consultation with local communities, should prioritise and facilitate access to affordable nutritious foods. ” The Aboriginal and Torres Strait Islander population is reported to suffer the highest rates of otitis media in the world. This unacceptably high prevalance has been known for at least 60 years. National Aboriginal Community Controlled Health Organisation (NACCHO) Chair, Mr. John Singer said Indigenous children experience some of the highest rates of chronic otitis media in the world. ” Report Cards can be daunting, they can be challenging, and they can be inspiring – but above all, they are valuable. They help provide foundations for informed decision making – something I thoroughly endorse. And in the case of Indigenous health, they highlight issues that many of the more than 27,000 registered doctors, students and advocates who the AMA represents, deal with every day. Otis media is a build up of fluid in the middle ear cavity, which can become infected. While the condition lasts, mild or moderate hearing loss is experienced. Otitis media is very common in children and for most non-Indigenous children, is readily treated. But for many Indigenous people, otitis media is not adequately treated. It persists in chronic forms over months and years. As this Report Card identifies, the peak prevalence for otitis media in some Indigenous communities is age five months to nine months; with up to one-third of six-month-old infants suffering significant hearing loss. The effects of long periods of mild or moderate hearing loss at critical developmental stages can be profound. During the first 12 or so months of life, a person’s brain starts to learn to make sense of the sounds it is hearing. This is called ‘auditory processing’. If hearing is lost during this critical period, and even if normal hearing returns later, life-long disabling auditory processing disorders can remain. Chronic otitis media is a disease in communities with poorer social determinants of health. It is a disease of the developing world. It should not be an endemic ‘massive health problem’ in Australia – one of the healthiest and wealthiest countries in the world. However the chronic otitis media crisis is occurring in too many of our Indigenous communities. This Report Card calls for a national, systematic approach to closing the gap in the rates of chronic otitis media between Indigenous and non-Indigenous infants and children in Australia, and a response to the lasting, disabling effects and social impacts of chronic otitis media in the Indigenous adult population. The peak body for Aboriginal controlled medical services today welcomed the release of the AMA’s 2017 Report Card on Indigenous Health and joined its call for a national, systematic approach to closing the gap in the rates of chronic otitis media between Indigenous and non-Indigenous children in Australia. This disease has long term disabling effects and social impacts in the Indigenous adult population. “This is a disease of poor people in poor countries as well as other indigenous minorities. These unacceptably high rates have been known for at least 60 years,” Mr. Singer said. Chronic otitis media has lifelong impacts for health and wellbeing just like cardiovascular disease or diabetes – its effects are often ‘life sentences’ of disability and are linked to high rates of Indigenous incarceration. NACCHO calls on Australian governments to adopt the recommendations of the Report including embedding chronic otitis media and hearing loss in the Closing the Gap Strategy. However in addition to these principles specialist ear disease and hearing services must be provided to all Aboriginal children if this disease is to be tackled. Like many chronic diseases impacting on the gap in life expectancy, otitis media is linked to poorer social determinants. “If we are serious about improving health outcomes for Indigenous people, governments at all levels must do more to improve education, housing and employment outcomes.” Mr. Singer said. Indigenous led solutions must be at the center of any approach. Aboriginal people are more likely to access the care and support they need from an Aboriginal controlled organisation. The community controlled sector has the experience, history and expertise in working with Aboriginal communities and are best placed to work with governments on the report recommendations. Our members should be the preferred model for investment in comprehensive primary health care services. Our members across the country are keen to work with governments on a systematic approach to the prevention, detection, treatment and management of otitis media,” Mr. Singer said. 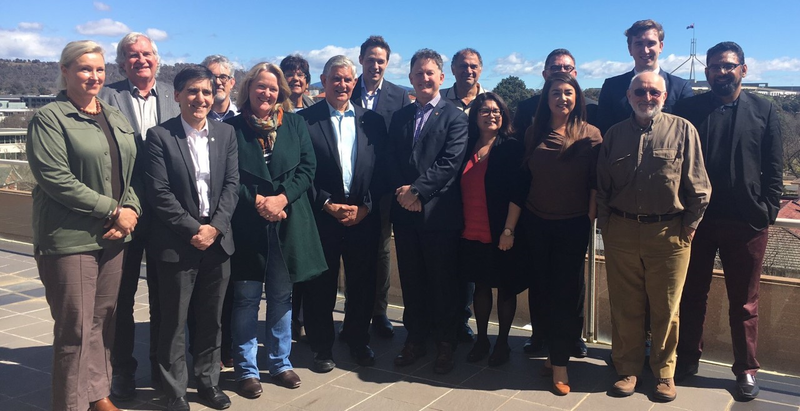 NACCHO, its Affiliates and members will continue to work with the AMA in the hope that the report will be a catalyst for coordinated, sustainable government action to improve ear health among Aboriginal and Torres Strait Islander people. The AMA today issued a challenge to all Australian governments to work with health experts and Indigenous communities to put an end to the scourge of poor ear health – led by chronic otitis media – affecting Aboriginal and Torres Strait Islander Australians. At the launch of the 2017 AMA Indigenous Health Report Card in Canberra today, AMA President, Dr Michael Gannon, said the focus on ear health was part of the AMA’s step by step strategy to create awareness in the community and among political leaders of the unique and tragic health problems that have been eradicated in many parts of the world, but which still afflict Indigenous Australians. 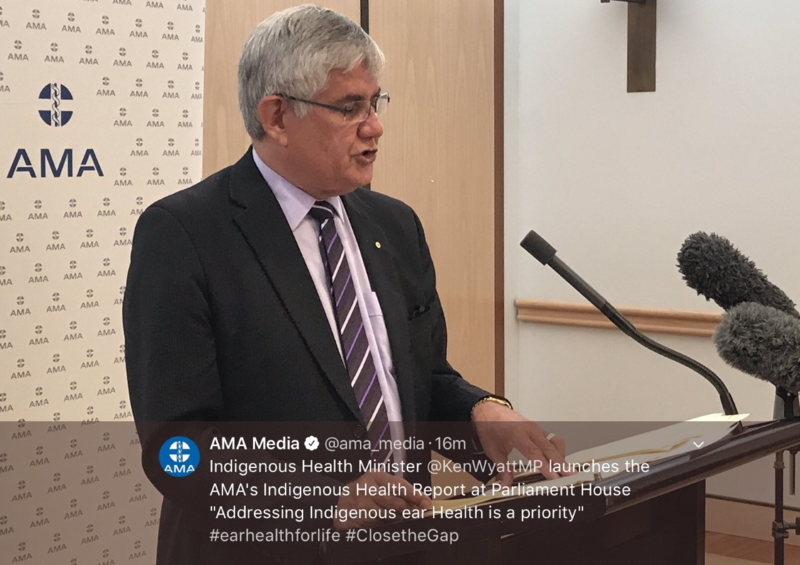 The Report Card – A National Strategic Approach to Ending Chronic Otitis Media and its Life Long Impacts in Indigenous Communities – was launched by the Minister for Indigenous Health, The Hon Ken Wyatt AM. “It is a tragedy that, in 21st century Australia, poor ear health, especially chronic otitis media, is still condemning Indigenous people to a life sentence of hearing problems – even deafness,” Dr Gannon said. “Chronic otitis media is a disease of poverty, linked to poorer social determinants of health including unhygienic, overcrowded conditions, and an absence of health services. “It should not be occurring here in Australia, one of the world’s richest nations. It is preventable. “Otitis media is caused when fluid builds up in the middle ear cavity and becomes infected. Dr Gannon said that, for most non-Indigenous Australian children, otitis media is readily treated. “The condition in the non-Indigenous population passes within weeks, and without long-term effects. Estimates show that an average Indigenous child will endure middle ear infections and associated hearing loss for at least 32 months, from age two to 20 years, compared with just three months for a non-Indigenous child. Dr Gannon said the AMA wants a national, systematic approach to closing the gap in the rates of chronic otitis media between Indigenous and non-Indigenous infants and children in Australia. “We urgently need a coordinated national response to the lasting, disabling effects and social impacts of chronic otitis media in the Indigenous adult population,” Dr Gannon said.  Indigenous children experience some of the highest rates of chronic suppuratives otitis media (CSOM) in the world.  Chronic otitis media in infancy and childhood can affect Indigenous peoples’ adult health and wellbeing as much as cardiovascular disease or diabetes, and its effects are significant ‘life sentences’ of disability. I’d like to acknowledge the traditional custodians of the land on which we meet – the Ngunnawal and Ngambri people – and pay my respects to their Elders, past and present. My Parliamentary colleagues, and distinguished guests. Report Cards can be daunting, they can be challenging, and they can be inspiring – but above all, they are valuable. So I commend the AMA on its 2017 Report Card on Indigenous Health – the latest in a series of highly authoritative and respected reports on the crucial issue of Aboriginal Aboriginal and Torres Strait Islander health. Over the past 15 years, this annual Report Card has highlighted priority issues such as low birth weight babies, institutionalised inequities and racism, government funding, medical workforce, rheumatic heart disease, and best practice in primary care. I welcome this year’s Report Card, with its focus on ear health and hearing loss, which can have devastating impacts. Compounding this is the fact that the most common ear afflictions are almost entirely preventable. For all the wrong reasons, ear disease is highly prevalent in Indigenous children and repeated episodes can lead to hearing loss and deafness, if not treated early. The impact of this can have lifelong effects on education, employment and wellbeing. Nowhere have these consequences been more evident than in my home State of Western Australia, where significant numbers of hearing-impaired Aboriginal people have been unable to secure mining boom jobs, despite their best efforts and support from major companies. While I agree with Dr Gannon that this Report Card can be ‘a catalyst for government action to improve ear health among Aboriginal and Torres Strait Islander people’, I would like to point out that the Turnbull Government has much work under way aimed at improving Indigenous ear health. We are resolutely committed to turning this problem around. The AMA’s Report Card calls for a national, systematic and strategic approach to address chronic otitis media and its impacts in Indigenous communities, and for this approach to be reflected in the Council of Australian Governments Closing the Gap targets. I note the AMA recommends that any such national response be developed for COAG by a National Indigenous Hearing Health Taskforce, importantly under Indigenous leadership, and that it should build on and incorporate existing national, State and Territory-level responses. In March, the COAG Health Council agreed to explore the feasibility of such a national approach to reducing the burden of middle ear disease. The Queensland Department of Health has leadership of this proposal, and plans to take it to the Australian Health Ministers’ Advisory Council next week, when it is scheduled to consider the matter on 8 December. 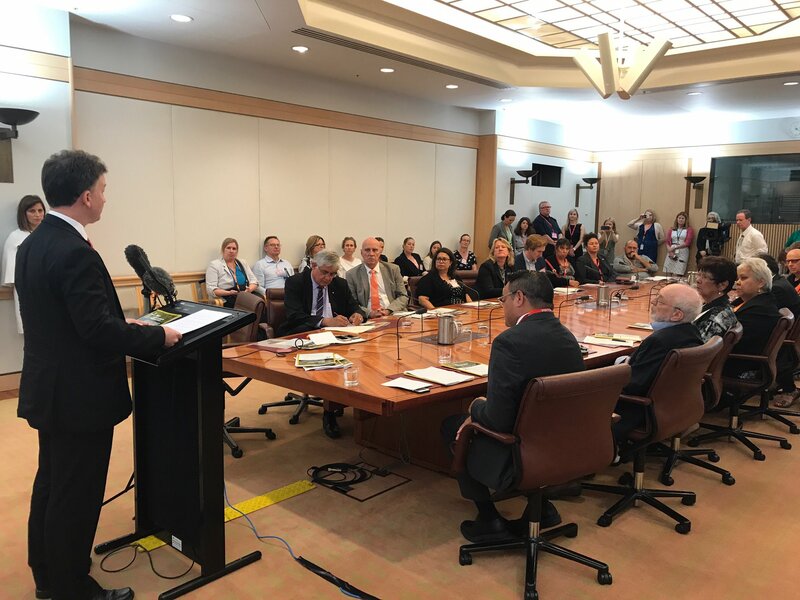 Alongside this, the House of Representatives Standing Committee on Health, Aged Care and Sport Inquiry into Hearing Health and Wellbeing of Australia is calling for a national strategy to be developed and additional funding provided. The recommendations of the committee’s report – titled ‘Still waiting to be heard’ – are currently being given detailed consideration by the Turnbull Government, as are the findings of the Department of Health’s independent examination of Commonwealth ear health initiatives. The AHMAC work and the ‘Still waiting to be heard’ report will inform the way forward on Indigenous ear health. It’s also pertinent to note a number of other initiatives that will contribute directly to improved ear health. The Turnbull Government has committed to incorporating a social determinants and cultural determinants of health approach in the next iteration of the five-year Implementation Plan for the National Aboriginal and Torres Strait Islander Health Plan, due to be released in 2018. The release of the Cultural Respect Framework 2016–2026, which was endorsed by AHMAC early this year, will underpin the delivery of culturally competent health service delivery. 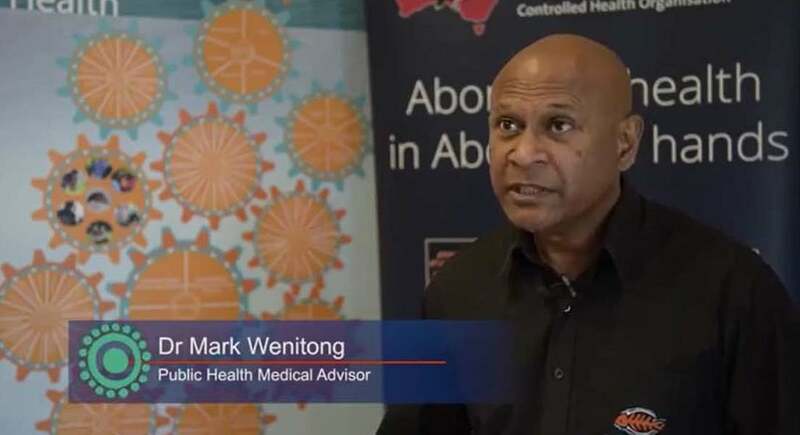 A culturally competent approach by health professionals is critical to the health and wellbeing of Aboriginal and Torres Strait Islander people who, like all Australians, have the right to safe, culturally comfortable care of the highest clinical standard. Further, COAG is currently working to refresh the Closing the Gap targets, including the health targets. Initiatives like these demonstrate the commitment of good minds and good people to tackling our nation’s most confronting health issue – Indigenous health. That commitment is also reflected in Commonwealth funding. 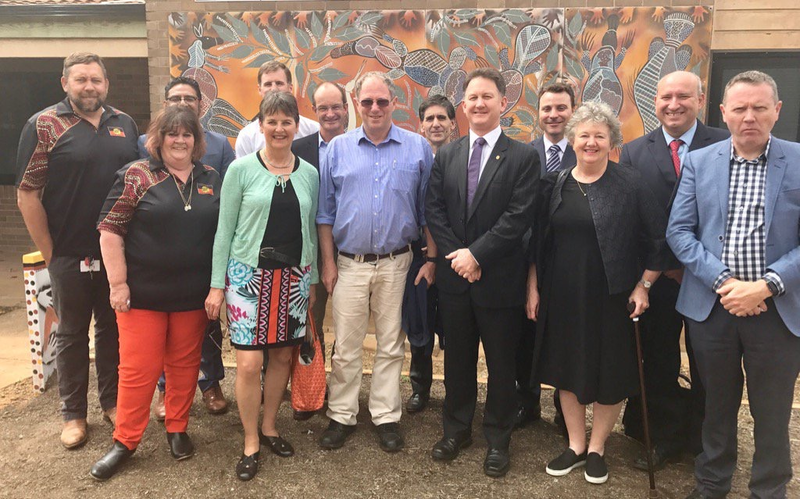 To improve ear health, a total of $76.4 million, from 2012–13 to 2021–22, is being provided through the Indigenous Australians’ Health Programme, and the National Partnership on Northern Territory Remote Aboriginal Investment. This funding is increasing access to clinical services, including surgery. It is providing equipment, training health professionals and raising awareness of otitis media symptoms and the need for early treatment. 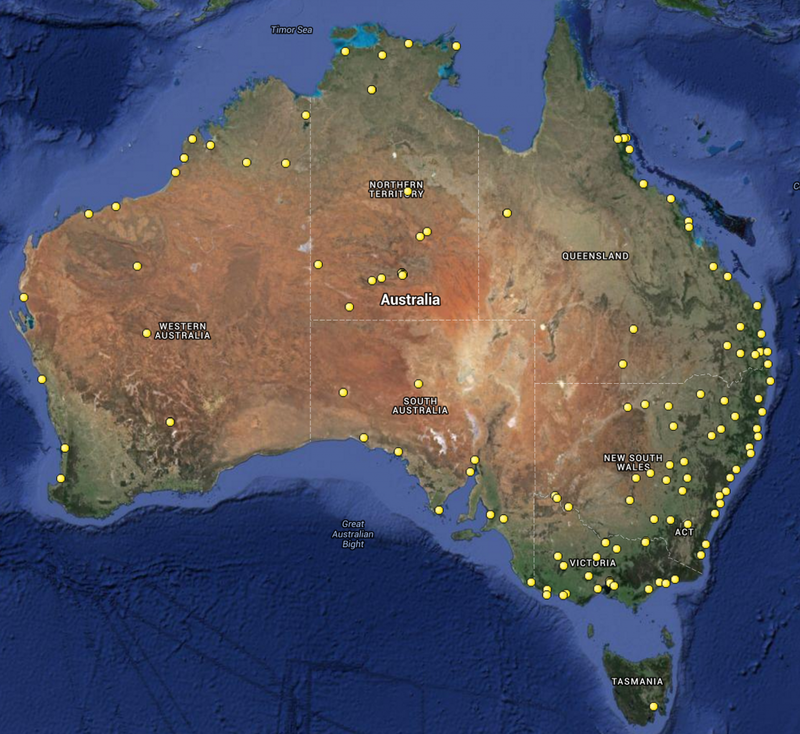 In the past year, this has resulted in around 47,000 patient contacts in more than 300 locations across Australia. More than 200 surgeries were provided, and over 1000 health professionals received training in 80 locations. More than 1000 pieces of diagnostic equipment were available across 170 sites; and clinical guidelines were made available nationally. As well, under the Australian Hearing Specialist Program for Indigenous Australians, the Australian Government provides hearing services in more than 200 Aboriginal and Torres Strait Islander communities across Australia each year to help overcome distance, culture and language barriers. Successful initiatives, such as Children’s Health Queensland’s Deadly Ears program, are making a difference. Deadly Ears has helped almost halve the rate of Chronic Otitis Media, working at 11 outreach services in rural and remote areas. So, clearly, there is a large body of work underway at local, State and national levels – but just as clearly, we must continue our focus, build our partnerships and broaden our approach. While primary care is fundamental to ear health solutions, we must work together with Aboriginal communities to advance other areas of life which impact on health and wellbeing. The Turnbull Government understands this, and this is the basis for our whole-of-government policies, including housing, education, employment and health service delivery. We are focussed on what works, so efficient and successful models of care can be shared and replicated. We are concentrating on grassroots empowerment, to support local responsibility, and in turn, to grow personal commitment. Finding ear health solutions is a shared responsibility – for all governments, the medical profession, health workers, and parents and their children. Reducing ear problems is one of my top Indigenous health priorities, and I’m confident we can start to make real gains in this critical area. While there is undoubtedly a way to go, evidence-based Report Cards like this will help ensure we are on the right track. The Turnbull Government is listening. I commend the AMA for its work, and look forward to continuing our shared dedication to better hearing for Indigenous people. ” At every opportunity, the AMA highlights the issues of housing, clean water, transport, food security, access to allied medical services, and other social determinants that contribute to chronic disease and act as barriers to treatment and prevention. The AMA has said time and again that it is simply unacceptable that Australia cannot manage the health care of the first peoples, who make up just three per cent of our population. I acknowledge the Wonnarua People – the traditional owners and custodians of the land, and pay respects to their elders, past and present. My thanks to the Australian Indigenous Doctors’ Association for the invitation to speak here today. It is a great privilege. Congratulations on your 20th Anniversary. You have come a long way. Aboriginal and Torres Strait Islander people face adversity in many aspects of their lives. There is arguably no greater indicator of disadvantage than the appalling state of Indigenous health. Aboriginal and Torres Strait Islander people are needlessly sicker, and are dying much younger than their non-Indigenous peers. What is even more disturbing is that many of these health problems and deaths stem from preventable causes. The battle to gain meaningful and lasting improvements has been long and hard, and it continues. I sit on the Western Australian State Perinatal and Infant Mortality Committee. Aboriginality is a depressingly regular theme in these Stillbirths and Neonatal Deaths. I am proud to be President of an organisation that has for decades highlighted the deficiencies in Indigenous health services and advocated for improvements. While there has been some success in reducing childhood mortality and smoking rates, the high levels of chronic disease among Indigenous people continue to be of considerable concern. For the AMA, Aboriginal and Torres Strait Islander health is a key priority. It is core business. It is a responsibility of the entire medical profession to ensure that Aboriginal and Torres Strait Islander people have the best possible health. It is the responsibility of doctors to ensure that patients – all patients – are able to live their lives to the fullest. Many of you will know that the AMA has a Taskforce on Indigenous Health, which I Chair. The Taskforce develops and recommends Indigenous health policy and strategies for the AMA to champion with governments and other agencies. 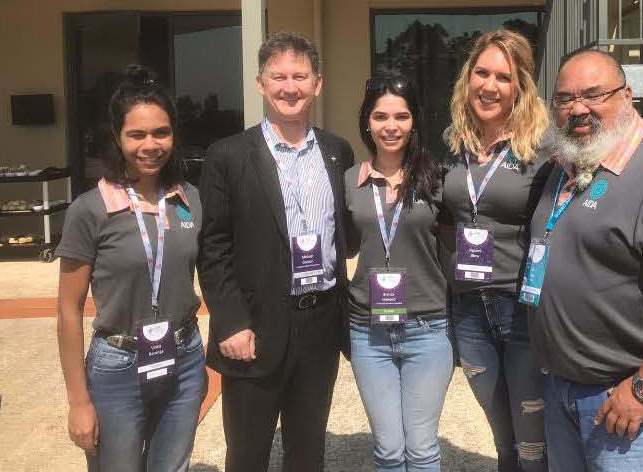 Along with AMA leadership, the Taskforce has representatives from AIDA, NACCHO, the Royal Australian College of General Practitioners, and the Australian Medical Students’ Association. The Taskforce has been working since 2000. The Taskforce helps the AMA develop its annual Report Card on Indigenous Health. These Report Cards comment on topical issues in Aboriginal and Torres Strait Islander health, and recommend solutions that we urge governments to embrace. The consistent message in all of these Report Cards is that the health of Aboriginal and Torres Strait Islander people will not improve until the factors that contribute to poor health, the social determinants of health, are addressed. 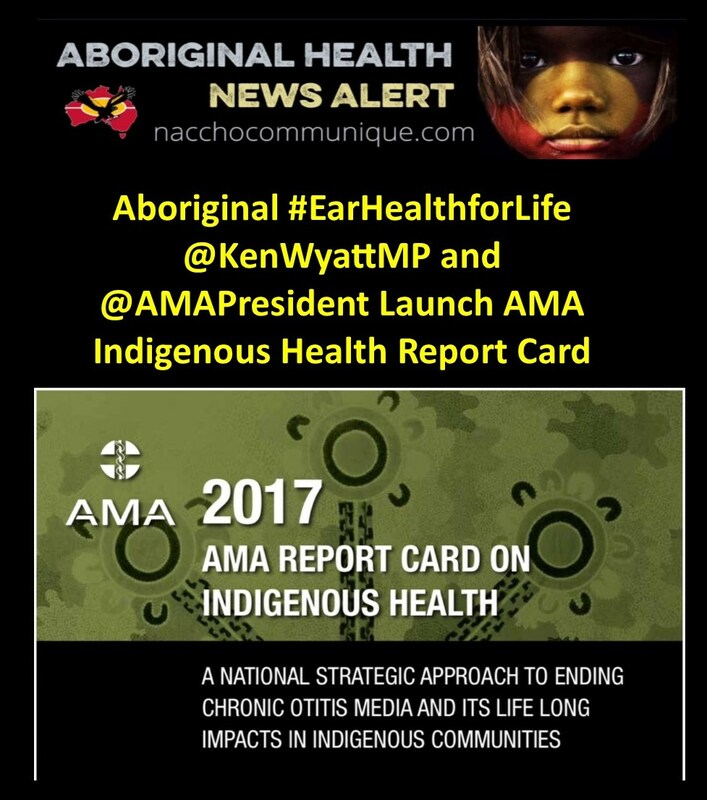 This year, the AMA’s Report Card on Indigenous Health – to be released in November – will focus on ear health and hearing loss. Aboriginal and Torres Strait Islander people in Australia suffer from some of the highest levels of ear disease in the world, and experience hearing problems at up to ten times the rate of non-Indigenous people across nearly all age groups. Hearing loss has health and social implications, particularly in relation to educational difficulties, low self-esteem, and contact with the criminal justice system. To address ear health issues among Aboriginal and Torres Strait Islander people, it will be necessary to continue raising awareness, improving strategies for prevention, providing funds for further research, and improving access to services. The AMA hopes the Report Card will be a catalyst for government action to improve ear health among Aboriginal and Torres Strait Islander people. All our governments must address the broader social determinants of health, which contribute to the development of ear disease. At every opportunity, the AMA highlights the issues of housing, clean water, transport, food security, access to allied medical services, and other social determinants that contribute to chronic disease and act as barriers to treatment and prevention. When it comes to Indigenous health, the Federal Government needs to broaden its thinking. For too long now, people working in Indigenous health have called for action to address the social issues that affect the health of Aboriginal and Torres Strait Islander people. Education, housing, employment, sanitation, clean water, and transport – these all affect health too. This is clearly recognised in the Government’s own National Aboriginal and Torres Strait Health Plan 2013-2023, yet we continue to see insufficient action on addressing social determinants. One message is clear – the evidence of what needs to be done is with us. There is a huge volume of research, frameworks, strategies, action plans and the like sitting with governments – and yet we are not seeing these being properly resourced and funded. We do not need more paper documents. We need action. 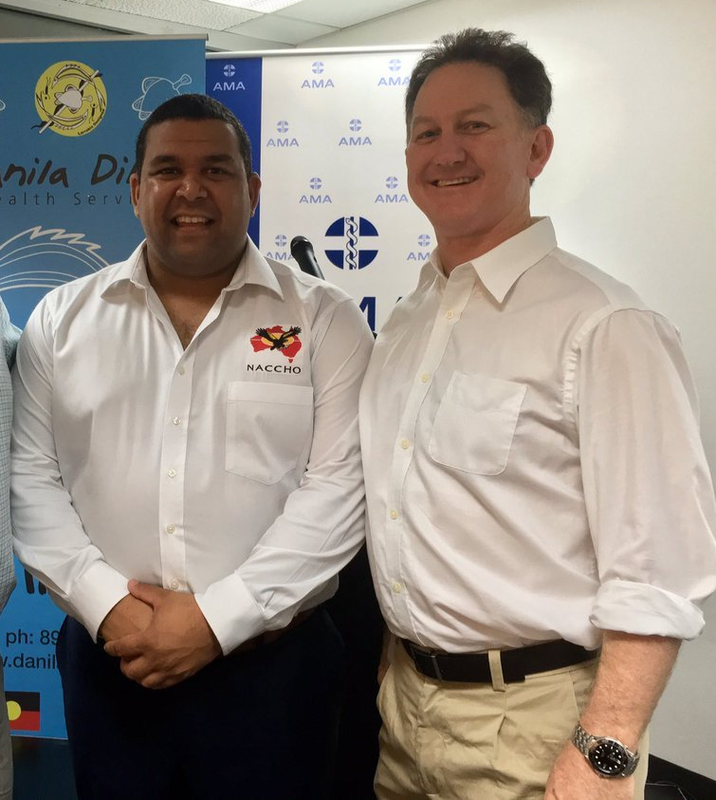 The AMA recognises that Indigenous doctors are critical to improving health outcomes for their Aboriginal and Torres Strait Islander patients. Aboriginal and Torres Strait Islander doctors have a unique ability to align their clinical and cultural expertise to improve access to services, and provide culturally appropriate care for Indigenous patients. But there are too few Aboriginal and Torres Strait Islander doctors and medical students in Australia. My father grew up in Dowerin in rural WA. He had long lost the title of its best ever footballer before Lance ‘Buddy’ Franklin was born. I grew up in Perth and went to primary school with Aboriginal kids. The same was true at high school. Later in my University training and as a Doctor-in-training, I had regular exposure to a high proportion of Aboriginal patients at Royal Perth Hospital and King Edward Memorial Hospital. But at University, I had little contact with Indigenous people. In 2017, there are just 281 medical practitioners employed in Australia who identify as Aboriginal and/or Torres Strait Islander – representing only 0.3 per cent of the workforce. In 2016, around 286 Indigenous students were known to be studying medicine. It is, as you in this room know, slowly changing. The Indigenous medical workforce must grow significantly to achieve overall improvements in Indigenous health. 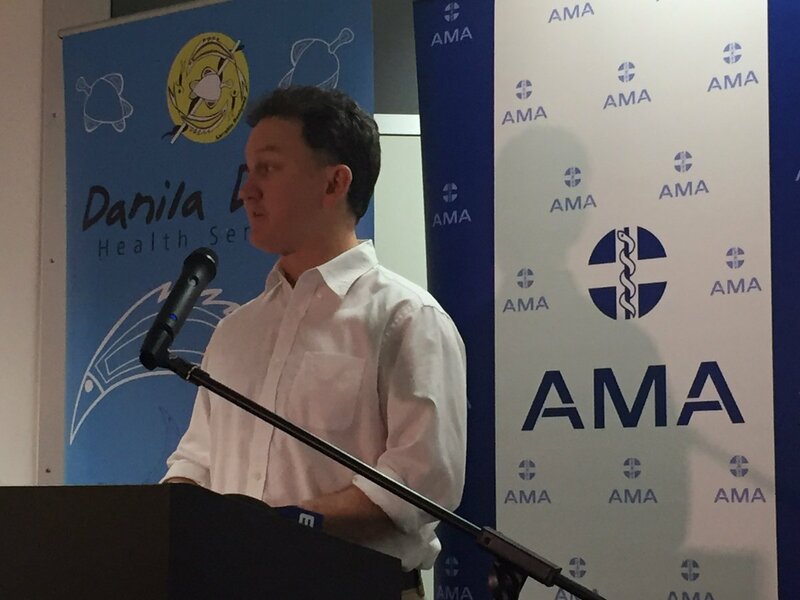 To help boost the number of Indigenous medical students, and ultimately doctors, the AMA has offered a scholarship to an Indigenous medical student each year since 1994. Over the years, our Scholarship has helped support more than 20 Indigenous men and women to complete their medical degrees. Our most recent Scholarship recipient, James Chapman, understands the importance of family, culture, and education. At a young age, James saw both of his parents endure health problems, and unfortunately lost his father to acute myeloid leukaemia after a short battle with the disease. While he did not realise it at the time, James has said his father was a victim of the gap that exists between Indigenous and non-Indigenous Australians. His father’s death made him realise his potential to contribute to his fellow Indigenous populations by providing access to health services. James now has a purpose to study medicine so that he can practise in rural and remote Australia, offering Indigenous people access to equal health care, and addressing a major socio-economic inequality in Australia. He realises that closing the gap between Indigenous and non-Indigenous people isn’t a one-man job. But he takes comfort in knowing that he can contribute and make a difference to his fellow Indigenous people’s lives – prolonging and preserving a culture that holds a very important place for himself and many others. The AMA worked hard to achieve Deductible Gift Recipient (DGR) status for our scholarship, and we are actively seeking donations, hoping to award a second annual scholarship for the first time this year. Increasing the number of Indigenous doctors is a goal, not just for the AMA, but for all of those involved in closing the gap and improving the health and wellbeing of Australia’s first peoples. The AMA will continue advocating for an increase in the number of Indigenous doctors in Australia. The AMA has been a persistent, sustained, and powerful voice on Indigenous health for decades. During that time, much has changed for the better, particularly as a result of the Close the Gap campaign. Recent cuts to funding are a huge concern. Despite good intention and considerable investment by successive governments, the disparity in health outcomes remains. Each year, the Prime Minister delivers a report on Closing the Gap, which in recent years has been profoundly disappointing. The Closing the Gap reports sadly are not delivering on positive outcomes to improve Indigenous health. Nor do they deliver one extra doctor when and where they are needed most. They certainly provide no new funding. Achieving health equality for Aboriginal and Torres Strait Islander Australians is an incredibly difficult task. There have been some gains, but we need to do more – much more. We must ensure that our governments do not fatigue in this task. They have the support of the broader Australian community. It will take time, but most of all it will take ongoing commitment. Governments at all levels must make meaningful investment in Indigenous health, and work with Indigenous communities to develop solutions that address their unique health needs. Local Indigenous communities and local Indigenous people have the knowledge and expertise. They know what works. Without using this experience, the gap will remain wide and intractable. The AMA has repeatedly said that it is not credible that Australia, one of the world’s wealthiest countries, cannot address the health and social justice issues that affect three per cent of its citizens. We will continue to work with governments to take action to improve health and life outcomes for Aboriginal and Torres Strait Islander people. Many Australians face the prospect of a premature death or lower quality of life through risky behaviours that are often commonplace, but are still very detrimental to their health. Launching AMA Family Doctor Week 2017 – the AMA’s special annual tribute to all Australia’s hardworking and dedicated GPs – AMA President, Dr Michael Gannon, urged all Australians to establish and maintain a close cooperative relationship with their local family doctor. Dr Gannon said that having a trusting professional relationship with a GP is the key to good health through all stages of life, for every member of the family. “GPs are highly skilled health professionals and the cornerstone of quality health care in Australia,” Dr Gannon said. “They provide expert and personal advice and care to keep people healthy and away from expensive hospital treatment. Dr Gannon said that 86 per cent of Australians visit a GP at least once every year, and the average Australian visits their GP around six times each year. “Around 80 per cent of patients have a usual GP, which is the best way to manage your health throughout life,” Dr Gannon said. “Your usual GP will be able to provide comprehensive care – with immediate access to your medical history and a long-term understanding of your health care needs, including things like allergies or medications. “Family doctors are the highest trained general health professionals, with a minimum of 10 to 15 years training. “Your GP, your family doctor, is all about you. Dr Gannon said that the specialised work of GPs is in great demand due to the growing and ageing population, and because of health conditions that result from our contemporary lifestyles and diets. “The importance of quality primary health care and preventive health advice has never been higher due to our modern way of life,” Dr Gannon said. 20 per cent of Australians have had a mental disorder in the past 12 months. “Our hardworking local GPs – our family doctors – are the key to better physical and mental health for all Australians,” Dr Gannon said. “They provide quality expert health advice and help patients navigate their way through the health system to achieve the most appropriate care and treatment for their condition. ” The gap in health and life expectancy between Aboriginal and Torres Strait Islander people and other Australians is still considerable, despite the commitment to closing the gap. The AMA recognises the early progress that is being made, particularly in reducing early childhood mortality rates, and in addressing major risk factors for chronic disease, such as smoking. To maintain this momentum for the long term, the Government must improve resourcing for culturally appropriate primary health care for Aboriginal and Torres Strait Islander people, and the health workforce. 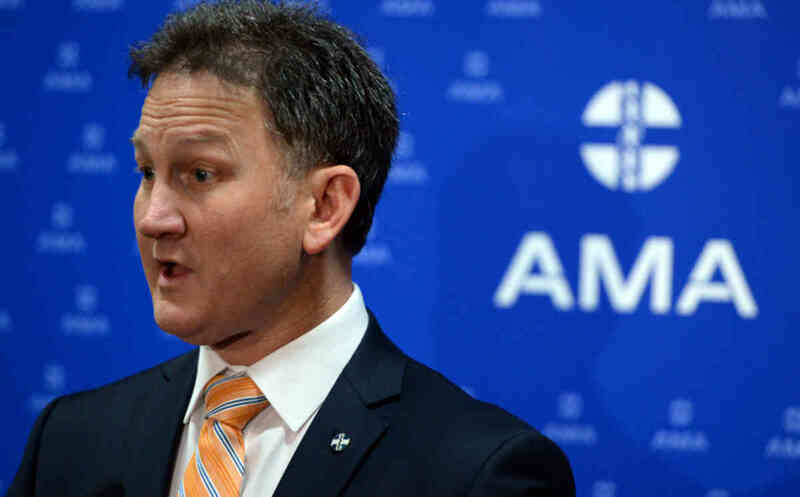 AMA President, Dr Michael Gannon, said today that the appointment of Greg Hunt as Health Minister provides the Government with the perfect opportunity to change direction on health policy, and to consign any links to the disastrous 2014-15 Health budget to history. Launching the AMA’s Pre-Budget Submission 2017-18, Dr Gannon said the key for the Government and the Health Minister is to look at all health policies as investments in a healthier and more productive population. “Health is the best investment that governments can make,” Dr Gannon said. • support a National Aboriginal and Torres Strait Islander Hearing Health Taskforce that can provide evidence-based advice to Government, embed hearing health in Closing the Gap targets, and recognise its importance in early childhood development, education, and employment. “The AMA agrees with and supports Budget responsibility. But we also believe that savings must be made in areas that do not directly negatively affect the health and wellbeing of Australian families. “Health must be seen as an investment, not a cost or a Budget saving. “There are greater efficiencies to be made in the health system and in the Health budget, but any changes must be undertaken with close consultation with the medical profession, and with close consideration of any impact on patients, especially the most vulnerable – the poor, the elderly, working families with young children, and the chronically ill.
“But the AMA urges caution – and care. The Government must not make long-term cuts for short-term gain. Patients will lose out. “In this Pre-Budget Submission, the AMA is urging the Government to invest strategically in key areas of health that will deliver great benefits – in economic terms and with health outcomes – over time. “The first task of the new Minister must be to lift the freeze on Medicare patient rebates, which is harming patients and doctors. “Primary care and prevention are areas where the Government can and should make greater investment. “General practice, in particular, is cost-effective and proven to keep people well and away from more expensive hospital care. It was pleasing to hear Minister Hunt use his first health media conference to declare that he wanted to be the Health Minister for GPs. “The Government must also fulfil its responsibilities – along with the States and Territories – to properly fund our public hospitals. “So too, the Government must deliver on its commitments to improve the health of Indigenous Australians. 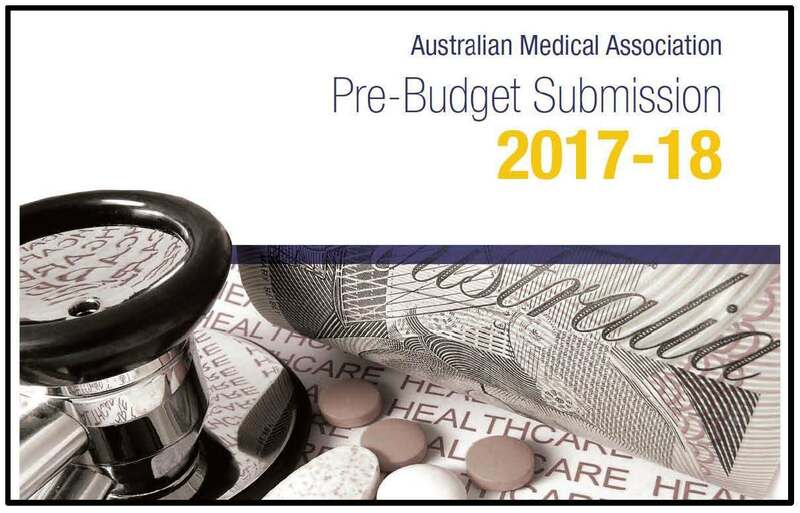 “In this submission, the AMA provides the Government with affordable, targeted, and proven policies that will contribute to a much better Budget bottom line in coming years. This Submission was lodged with Treasury ahead of the cob Thursday 19 January 2017 deadline. ” The Medicare rebate freeze, which has been in place since 2010, had become a barrier to reform between the health sector and the Coalition. Doctors are calling for the country’s incoming health minister to reset the government’s relationship with the sector by ending a controversial freeze on Medicare payments. The Prime Minister is ­considering a limited reshuffle, with Cabinet Secretary Arthur ­Sinodinos or Industry Minister Greg Hunt most likely to take on the portfolio. Australian Medical Association president Michael Gannon said whoever took on the politically sensitive portfolio needed to ­implement reforms once reviews established by former minister Sussan Ley were completed, ­including one examining payments made under the Medicare Benefit Schedule. President of the Royal Australian College of General Practitioners Bastian Seidel said the organisation wanted to see the government adopt evidence-based policy that would endure regardless of who held the portfolio. Dr Seidel said the RACGP would be calling for an immediate end to the freeze on Medicare ­rebates for doctors, saying it would make a “significant difference” to patients. “The top priority for the RACGP and our members and our patients is to lift the Medicare rebate freeze for general practice,” Dr Seidel said. He said ending the freeze on payments to doctors would cost $150 million a year, and called for a reprieve over the next two years while a review of the MBS was completed. Mr Turnbull is understood to be considering whether he reduces the size of cabinet from 23 to 22 ministers, while increasing the outer ministry from seven to eight to maintain the ministry at its current level of 30. Doing so would likely see the elevation of an assistant minister to the outer ministry, with conservative NSW MP Angus Taylor a frontrunner. ” In 2012, there were 221 medical practitioners employed in Australia who identified as Aboriginal or Torres Strait Islander – representing 0.3 per cent of all employed medical practitioners who chose to provide their Indigenous status. In 2015, the Medical Deans Australia and New Zealand reported that a total of 265 Aboriginal and Torres Strait Islander medical students were enrolled across all year levels. Of the 15 medical colleges, four have never had an Indigenous trainee. 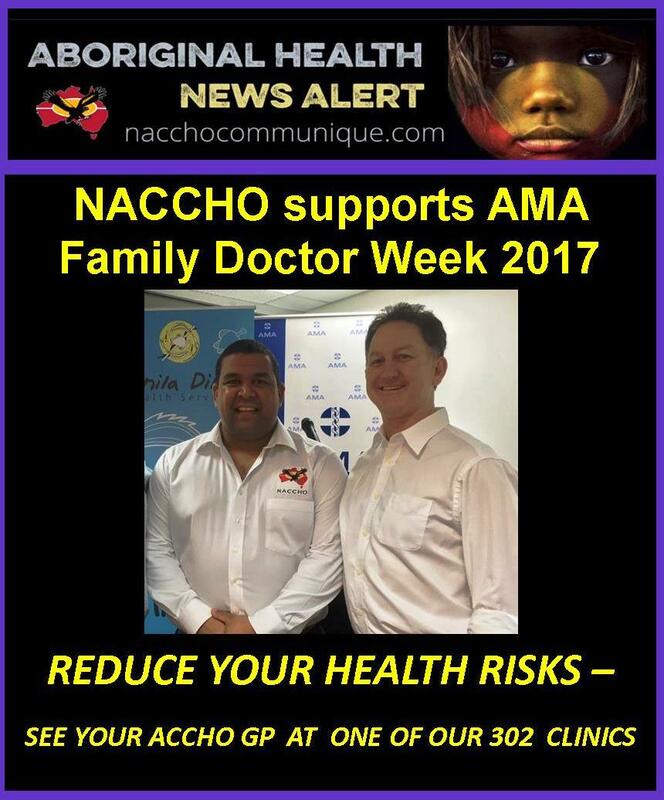 He is federal president of the AMA ( Australian Medical Association.) and heads the Department of Obstetrics and Gynaecology at the St John of God Subiaco Hospital, where he was born. For the AMA, Aboriginal and Torres Strait Islander health has been, and will remain, a priority. It is our responsibility to advocate for and support efforts to improve health and life outcomes for Australia’s First Peoples. The AMA works closely with Aboriginal and Torres Strait Islander people in a number of ways to contribute to our mutual goal of closing the health and life expectancy gap between Indigenous and non-Indigenous Australians. We have close relationships with NACCHO, the Australian Indigenous Doctors’ Association and the Close the Gap Steering Committee, through which we collectively contribute to the national debate on Indigenous health issues. The Taskforce on Indigenous Health, which I Chair, is another way that the AMA works in partnership with Indigenous people. Each year, through the Taskforce, the AMA produces an annual Report Card on Indigenous Health – a landmark publication that makes practical recommendations to governments on how key Aboriginal and Torres Strait Islander health issues should be addressed. Australia has a very good health system, the envy of many in the world. It has been built around the central role of general practitioners. GPs are highly trained specialists. They are uniquely positioned to diagnose and treat illness, and coordinate care working in collaboration with their patients, other specialists, and allied health care professionals. General practice is delivering great value for patients, the community, and government. GPs are achieving very good health outcomes for patients – with modest out of pocket costs, and spending on general practice representing only six per cent of total health spending. General practice has embraced team-based care, with many practices employing practice nurses and allied health professionals. For example, there are over 12,322 nurses working within general practice. It is estimated that over 60 per cent of practices employ at least one practice nurse. GPs are making use of Chronic Disease and Mental Health items in the Medicare schedule to support patients in accessing the care they need. GPs have embraced technology, with general practice in Australia now highly computerised. This is making a world of difference. While many patients have their preferred GP, if they need to see another doctor or health professional in their practice, their patient record is readily available. This supports high quality care. The care provided by GPs is built around the needs of the patient. GPs occupy a gatekeeper role in our health system. This not only helps patients to navigate what can be complex and confusing, it also ensures close collaboration between GPs and other specialists in delivering care. It is one of the reasons why our health system delivers the high quality results our patients expect and deserve. We cannot forget that fragmentation of care is the enemy of quality care. Too often, other health professions seek to expand their role and scope of practice, at times at the expense of the quality of care. One of the reasons why health costs in the United States are so high, and outcomes poor in comparison to ours, is their fragmented approach to health care, with poor coordination and duplication being major problems. We need to build on what works, with a strong collaborative approach to care. Other health professionals need to be able to work autonomously to their full scope of practice. This is something that the AMA fully supports. However, the patient’s care needs to be well coordinated and it needs to be built around medical diagnosis. We must never forget that care is about the patient. Other health professionals want to carve out new roles, often based on the premise that they will be looking after relatively simple presentations, and that this will free up time for doctors to do more complex work. To be perfectly clear, there is rarely such a thing as a ‘simple’ presentation. GPs know their patients’ histories. So-called ‘simple’ symptoms can be a sign of a far more complex and potentially dangerous condition. GPs are trained to look for enigmas like depression and alcoholism. In reality, a ‘simple’ visit to the GP can make a big difference to a patient’s health. Comprehensive, longitudinal care is about much more than just seeing patients when they are sick. Vaccinations and basic acute presentations all represent an opportunity to talk about prevention and a patient’s overall health. Every visit is a health promotion opportunity. Simple advice can make big changes to a patient’s health and wellbeing. Every consultation has the potential to uncover more serious health issues, with early intervention often the key to a good prognosis. While it is important that patients get access to the right care from the right health professional at the right time, we need to build on what we know works well for patients. Doctors are not afraid of workforce reform, but it must be grounded in the fundamental principle of quality. assessment of practitioners for registration against those standards. The AMA has previously said that there is an urgent need for an independent entity to be set up to assess and evaluate the future health workforce needs of the Australian community. Reforms must be driven by evidence, and build on a collaborative approach to care – as opposed to individual professional interests. The Australian community will not accept second best when it comes to the quality of their health care. Near enough is not good enough. We are training more doctors than ever before, with around 3,700 new medical graduates entering the workforce every year. We know that there are problems with distribution of the medical workforce and that problems in rural and regional areas persist. Some specialty areas are also in short supply. But problems in accessing care are being addressed. We must build on this training investment by having in place policies that support doctors working in the locations and specialties where they are desperately needed. This will require greater investment in post-graduate training and well-crafted policies that target areas of workforce shortage. We long ago moved beyond the 2005 Productivity Commission Report and the medical workforce shortages that existed at the time. Our challenge is how to best deploy a rapidly growing medical workforce so that we meet community need, working closely with our colleagues in other health professions, rather than being bogged down in inter-professional rivalries that are not in the interests of either our health system or the patients we serve. Australians want and deserve the best quality primary health care. GPs are the key providers and coordinators of patient-centred care. Over 30 years, Governments from both sides of politics have undermined and undervalued General Practice. It is time that they realised their value and supported them in their essential primary health care role. “With Aboriginal and Torres Strait Islander Australians still 20 times more likely to die from RHD, the AMA’s call for firm targets and a comprehensive and consultative strategy is welcome. We encourage governments to adopt these recommendations immediately. “As noted by the AMA, it is absolutely critical that governments work in close partnership with Aboriginal health bodies. Without strong community controlled health services, achieving these targets for reducing RHD will be impossible. While this is a long term challenge, the human impacts on Aboriginal and Torres Strait Islander communities are being felt deeply right now. Action is required urgently. ” RHD, which starts out with seemingly innocuous symptoms such as a sore throat or a skin infection, but leads to heart damage, stroke, disability, and premature death, could be eradicated in Australia within 15 years if all governments adopted the recommendations of the latest AMA Indigenous Health Report Card. 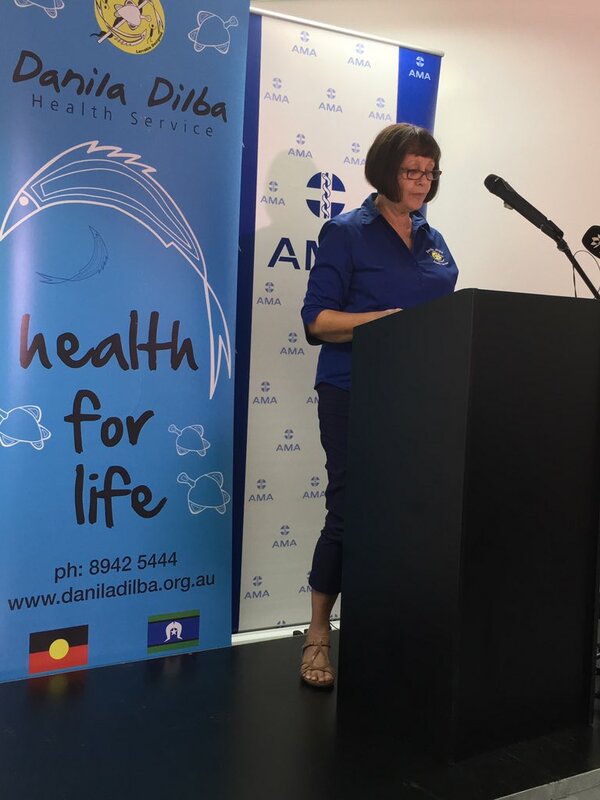 The peak Aboriginal health organisation today welcomed the release of the Australian Medical Association’s Report Card on Indigenous Health as a timely reminder of the importance of community controlled services. The 2016 Report Card on Indigenous Health focuses on the enormous impact that Rheumatic Heart Disease (RHD) is having on Aboriginal and Torres Strait Islander people in Australia with a ‘Call to Action to Prevent New Cases of RHD in in Indigenous Australia by 2031’. The AMA today called on all Australian governments and other stakeholders to work together to eradicate Rheumatic Heart Disease (RHD) – an entirely preventable but devastating disease that kills and disables hundreds of Indigenous Australians every year – by 2031. AMA President, Dr Michael Gannon, said today that RHD, which starts out with seemingly innocuous symptoms such as a sore throat or a skin infection, but leads to heart damage, stroke, disability, and premature death, could be eradicated in Australia within 15 years if all governments adopted the recommendations of the latest AMA Indigenous Health Report Card. Dr Gannon said the lack of effective action on RHD to date was a national failure, and an urgent coordinated approach was needed. “RHD once thrived in inner-city slums, but had been consigned to history for most Australians,” Dr Gannon said. “RHD is a disease of poverty, and it is preventable, yet it is still devastating lives and killing many people here in Australia – one of the world’s wealthiest countries. “In fact, Australia has one of the highest rates of RHD in the world, almost exclusively localised to Indigenous communities. “Indigenous Australians are 20 times more likely to die from RHD than their non-Indigenous peers – and, in some areas, such as in the Northern Territory, this rate rises to 55 times higher. “These high rates speak volumes about the fundamental underlying causes of RHD, particularly in remote areas – poverty, housing, education, and inadequate primary health care. “The necessary knowledge to address RHD has been around for many decades, but action to date has been totally inadequate. RHD begins with infection by Group A Streptococcal (Strep A) bacteria, which is often associated with overcrowded and unhygienic housing. It often shows up as a sore throat or impetigo (school sores). But as the immune system responds to the Strep A infection, people develop Acute Rheumatic Fever (ARF), which can result in damage to the heart valves – RHD – particularly when a person is reinfected multiple times. RHD causes strokes in teenagers, and leads to children needing open heart surgery, and lifelong medication. In 2015, almost 6,000 Australians – the vast majority Indigenous – were known to have experienced ARF or have RHD. From 2010-2013, there were 743 new or recurrent cases of RHD nationwide, of which 94 per cent were in Indigenous Australians. More than half (52 per cent) were in Indigenous children aged 5-14 years, and 27 per cent were among those aged 15-24 years. “We know the conditions that give rise to RHD, and we know how to address it,” Dr Gannon said. Work in partnership with Indigenous health bodies, experts, and key stakeholders to develop, fully fund, and implement a strategy to end RHD as a public health problem in Australia by 2031. “The End Rheumatic Heart Disease Centre of Research Excellence (END RHD CRC) is due to report in 2020 with the basis for a comprehensive strategy to end RHD as a public health problem in Australia,” Dr Gannon said. “We need an interim strategy in place from now until 2021, followed by a comprehensive 10-year strategy to implement the END RHD CRC’s plan from 2021 to 2031. Labor calls on the Turnbull government to take heart and address Rheumatic Heart Disease, an entirely preventable public health problem which is almost exclusively affecting First Nation Peoples. Labor welcomes the release of the Australian Medical Association’s 2016 Aboriginal and Torres Strait Islander Health Report Card, A Call To Action To Prevent New Cases Of Rheumatic Heart Disease In Indigenous Australian By 2031. Poor environmental health conditions, like overcrowded housing remain rampant in Aboriginal and Torres Strait Islander communities, devastating families and the lives of young people. “As the AMA’s report card suggests, we must build on the success of the 2009 Commonwealth Government Rheumatic Fever strategy, established to improve the detection and monitoring of Acute Rheumatic Fever and Rheumatic Heart Disease. Funding under the Rheumatic Fever strategy is uncertain after this financial year,” Ms King said. The Productivity Commission’s report Overcoming Indigenous Disadvantage [OID] released last week found 49.4% of Aboriginal and Torres Strait Islander peoples in remote communities live in overcrowded housing. Additionally, the report details no significant improvement in Aboriginal and Torres Strait Islander Peoples access to clean water, functional sewerage and electricity. “We know Rheumatic Heart Disease is a disease of poverty and social disadvantage, which is absolutely preventable. Aboriginal and Torres Strait Islander communities, especially in the Top End of the Northern Territory, suffer the highest rates of definite Rheumatic Heart Disease,” Mr Snowdon said. Labor applauds the work of the Take Heart Australia awareness campaign, and their work to educate and advocate putting Rheumatic Heart Diseases on the public health agenda. “Like always, Aboriginal and Torres Strait Islander communities need to be front and centre in taking action. 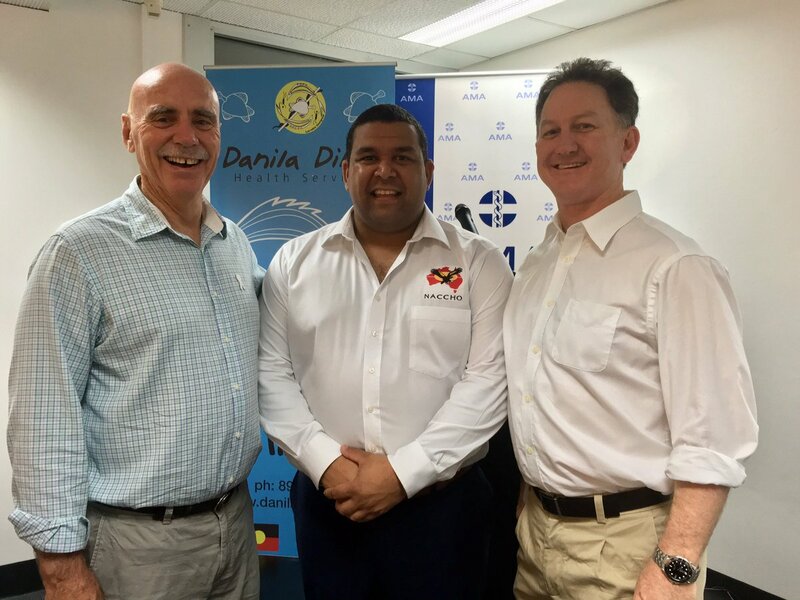 The most positive outcomes will come through communities working with Aboriginal and Community Control Health Organisations to design and deliver programs tailored to their needs,” Senator Dodson said. The National Aboriginal and Torres Strait Islander Health Plan 2013-2023 noted more than three years ago the association of RHD with ‘extremes of poverty and marginalisation’, these conditions remain and are almost exclusively diseases of Indigenous Australia. If we are serious about closing the gap, we must take heart, and address this burden of Rheumatic Heart Disease facing First Nation Peoples. The Heart Foundation has today supported the Australian Medical Association (AMA) call for governments to work together to eliminate Rheumatic Heart Disease (RHD) in 15 years, by 2031. Heart Foundation National CEO, Adjunct Professor John Kelly (AM) said RHD was an avoidable but widespread disease that kills and harms hundreds of Indigenous Australians every year. “Considering how preventable RHD is, it is a national shame that our Indigenous population are left languishing. “The Heart Foundation has strongly advocated from the RHD strategy. We continue to call on the government to fund the National Partnership Agreement on Rheumatic fever strategy and Rheumatic Heart Disease Australia (RHD Australia) with a $10 million over 3 years’ commitment, “Adj Prof Kelly said. With the AMA predicting that RHD could be eradicated in Australia within 15 years if all governments adopted its recommendations, the time to act is now. “We need to boost funding for the national rheumatic fever strategy. New Zealand is allocating $65 million over 10 years. A robust approach can put an end to RHD as a public health issue within 15 years,” Adj Prof Kelly said. 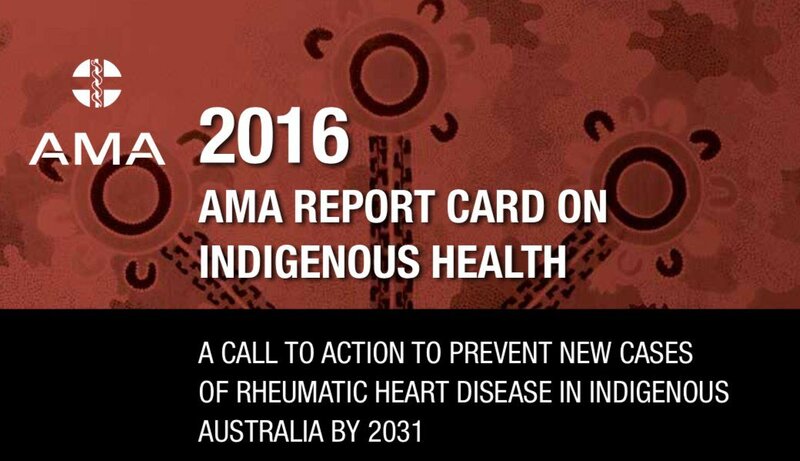 This call to action was part of the release of the AMA’s 2016 Indigenous Report Card – A call to action to prevent new cases of Rheumatic Heart Disease in Indigenous Australia by 2031.
to develop, fully fund, and implement a strategy to end RHD as a public health problem in Australia by 2031.